Want to expand your business or find a new investment opportunity? All you need are active leads! Conventional strategies of lead generation no longer work; call-back rates are below 1%, most of the emails you send are never opened. 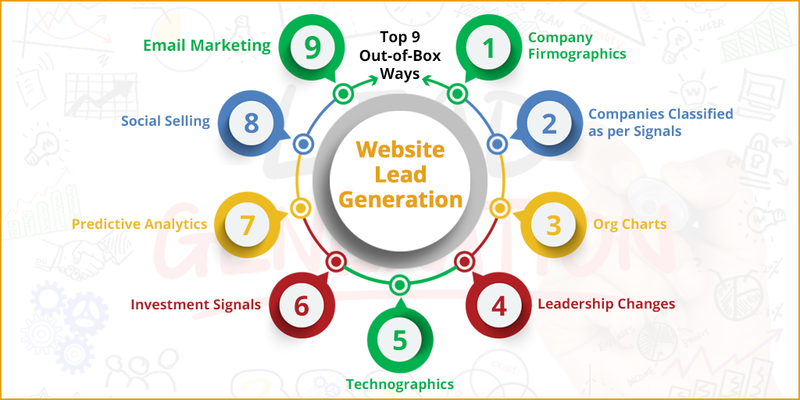 All your efforts would result into nothing if you stick to the traditional tools of lead generation. Then what’s the way out? Fortunately, lead generation has evolved; there are cool, out-of-box strategies of lead generation that most people have no clue about. But you can leverage these out-of-box strategies to generate leads and work out your B2B plans! Wondering what these out-of-box lead generation strategies are? Looking to get the data for lead generation in some classified form? Then all you need is Firmographics! What Firmographics can enable you to do is smartly organize individual companies into these different market segments so that you can make a business decision with the help of up-to-date data! Not clear about these attributes? Let’s say you are into tech business. You want to know about all tech companies that develop software. Using this attribute, it is possible to configure the Firmographic of companies that specialize in software design and development! In a nutshell, is it a Fortune 500 company or a local business? How has the revenue fared over the years? Have the revenues increased in the last year or two? Firmographics of this sort segment the companies in a way that you can identify the companies suitable to you in terms of revenue. This is a critical factor for your B2B plan. Is it a start-up or a market leader? How many employees are working at this company? Are they recruiting or downsizing? Once you get to know these, you can accordingly plan your strategy. 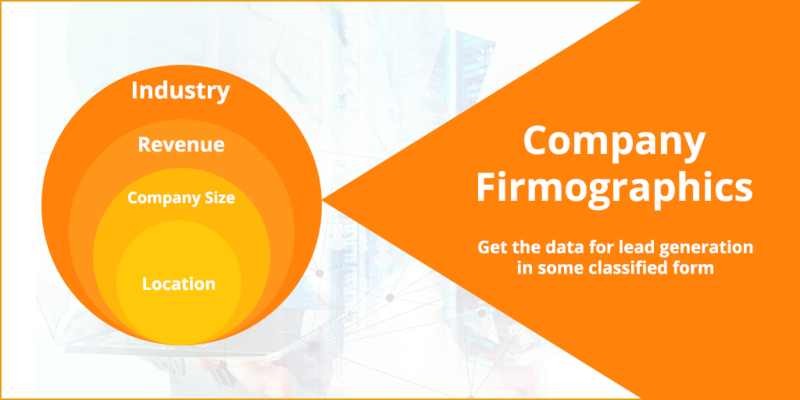 So a Firmographic that segments companies by size enables you to select the right kind of company for B2B transaction. Firmographics could also be configured based on location. Are you looking for companies in the US or Europe or Emerging Markets? It gives you companies which suit your geographic location and allows you to reach out to the best possible business partner in the given location. How would you react when you come to know that a particular company is setting up a new plant in your city? Of course, it is something that triggers possibilities, isn’t it? This is nothing but a company signal that you care about; something that opens up B2B opportunities. These signals could be of diverse kind; like opening a new branch in New York, a new CEO taking charge, raising funds etc. These signals could provide you the best possible opportunity to initiate B2B transactions. Guess who do you actually do business with? People. So you got to know ‘who’s who’ in a company? This is where Org Charts come into play. If you could instantly get Org Charts, you could make the decision making faster. 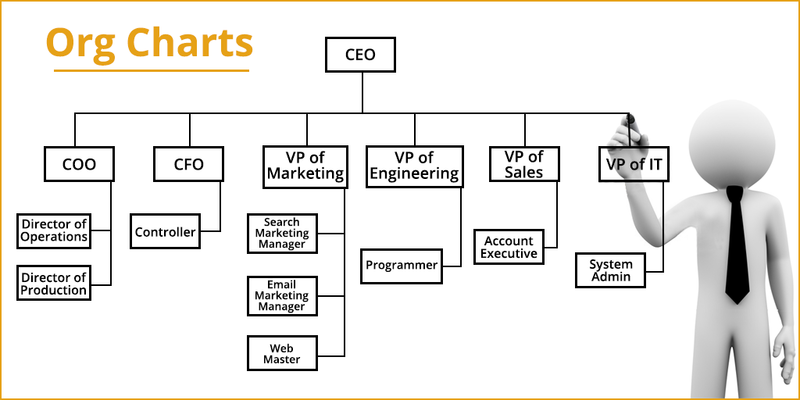 If you could get the Org Charts of the prospective companies, you are setting things up for B2B possibilities! But don’t forget, old employees keep resigning and new employees keep joining. So you have got to get hold of up-to-the-second Org Charts with all the changes reflected! Once you have the updated Org Charts, you can start reaching out to your counterparts in the identified B2B partner! Imagine how policies changes with the leadership changes! Infrastructure, marketing, take-over, acquisition, setting up new plants etc. etc. Therefore, it is essential to keep track of leadership changes so that you can anticipate the change in policy of a company. Once you keep track of these changes, you can time your B2B decisions to perfection! 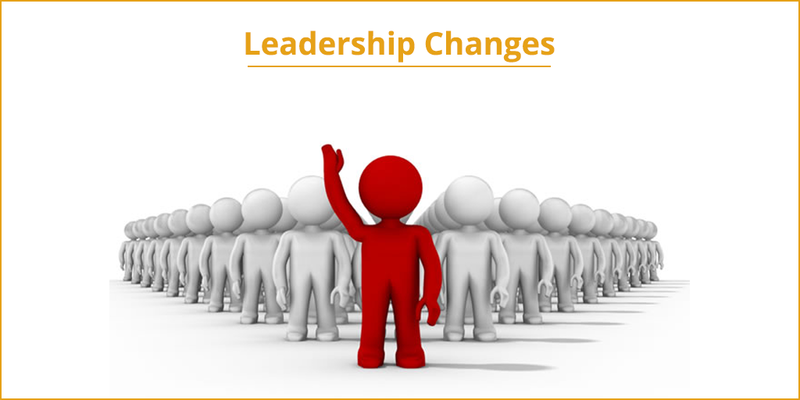 However, it is not possible to keep track of leadership changes manually. You need some sort of automated system of getting the updated information on leadership changes. This is where web scraping comes handy! This is way more sophisticated than a simple, straightforward Firmographic! This is advanced and actionable intelligence in terms of technologies that companies use, invest into, integrate with. Technographic segmentation can enable you to identify the prospective B2B partner based on their exposure to technology. In other words, by analyzing the technologies they use, you can segment companies and discover B2B opportunities. For instance, let’s say you are looking for big companies which have large client/customer base and have plenty of resources. This is where Technographic can help. You can identify companies that use the marketing automation software. It means that they have a large client/customer base for which they need such marketing automation software. In other words, by trying to segregate companies using marketing automation software, you have discovered the kind of companies you were looking for- large, resourceful and tech-savvy! In short, a Technographic that segments companies using market automation software such as Marketo or Eloqua can give you necessary head-start for B2B transaction! The universe of technologies is too vast. You can segment companies based on different tech tools such as Autodesk, Google Apps, Concur etc. Based on this, you can get advanced intelligence for your B2B aspirations! Is the company trying to push for business expansion? Is it embarking on ambitious, new projects? Is it looking for new funding avenues? Are there any contracts which are expiring? Are there any pain points you should know about? Is it going for tech overhaul? Is it preparing for tech upgradation? So if you are looking for B2B opportunities, you got to keep an eye on investment signals! What if you could predict if any of these company or investment signals were about to happen? Predictive analytics is the application of statistical methods and machine learning techniques to data sets to predict the probability of an event. Predictive analytics utilizes multiple variables which can be analyzed and used to predict the behavior of individuals, entities, companies etc. It works out up to a reliable level of possibility. It uses regression models, Time Series and other statistical methods to arrive at the prediction which are used elsewhere equally effectively too and hence reliable. Once you use predictive analytics, you can reliably predict policy changes, investment decisions, quarterly results etc. which can allow you to explore B2B possibilities. With the emergence of big data, predicative analytics has only grown many times. However, the big question is where will you get data from? This is why companies which will invest into web scraping will have access to bulk and clean data which can then be processed through predictive analysis for a gold mine of business insights!!! With the conventional strategies not yielding desired results, adding social selling to salesperson’s toolkit is a great idea! 2 out of 3 B2B buyers rely on social media to arrive at buying decisions! Social selling is basically all about marketers reaching the prospective clients through social media channels. With social selling, unlike calls and emails, you can reach the clients worldwide. 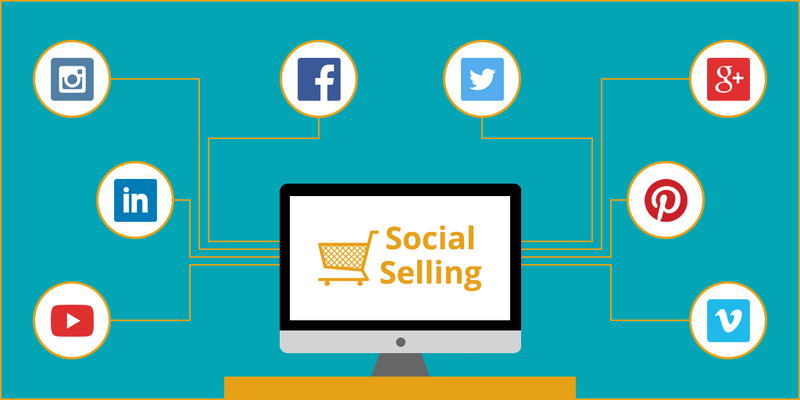 Social selling means integrating social media into your sales and marketing efforts. You draw more followers, provide educative content and make efforts to convert followers into leads. Social selling involves using social media to carry out research, prospect and create networking by sharing educative information and answering questions. Once you discover the power of social selling, you can race ahead of others using the conventional marketing techniques. Social selling is a truly out-of-box technique and you can generate ample leads through social selling!!! You might want to argue that this is one of the well-known lead generation strategies. Inbound marketing strategies like email marketing, blog, social media etc. have been there for some time and explored to the fullest. You attract a visitor, there’s CTA – call to action, there is a Landing page that you would want to optimize, then there’s an offer so and so forth. It’s a well-known process and this has been done over and over again. How can it be out-of-box? True. As an inbound marketing strategy, email marketing has been around for some time. However, the way it is done has drastically changed over a period of time. In spite of it being well-known, B2B marketers have not lost faith in the way it can help you reach out to the potential customers. That’s why it continues to be an effective lead generation tool and will remain a part of every marketer’s lead generation campaign. How you nurture the leads and nudge them towards purchase behavior has turned into an art. What’s your strategy for blog and how you target your blogs for a particular market segment leaves a lot of room for innovation. How you promote it is an altogether different but an important part of the process. However, as far as email marketing is concerned, marketing automation software products have revolutionized the way email marketing is done. With the help of marketing automation software, you can build “tracks” based on the type of the user or specific area of interest. Let’s illustrate it with an example: if you are a cyber-security firm and you can create tracks as mentioned above and carry out targeted email marketing for different tracks such as data security, scalable infrastructure etc. Each company is different and its target customer or B2B options will be different. How you use the functionalities built into the marketing automation software available in the market depends entirely on you and you can explore the functionalities to chalk out some out-of-box strategies to suit your needs and race ahead of your competition in email marketing for lead generation! You got to accept this; conventional tele-calling is not going to get you clients and business partners. You need to think of out-of-box strategies to generate leads which you can convert into business opportunities. If you employ the above-mentioned out-of-box strategies of lead generation, you will be able to spot opportunities earlier than your competitors and succeed in your B2B aspirations! All you need is data in different configurations. The data needs to be up-to-date and it needs to be processed through various criteria. It is difficult to get the data manually. Therefore, most people won’t be able to do it. Fortunately, web scraping can make it all possible. Although you cannot spare time to scrape the data and organize it. Thanks to services like ProWebScraper, you can get the data you need to tap into all the above-mentioned out-of-box lead generation strategies and convert your B2B plans into reality! Share your valuable feedback and comments here! Do share this article with your friends on social media! We would love to get your suggestions and work on them! Send it across!